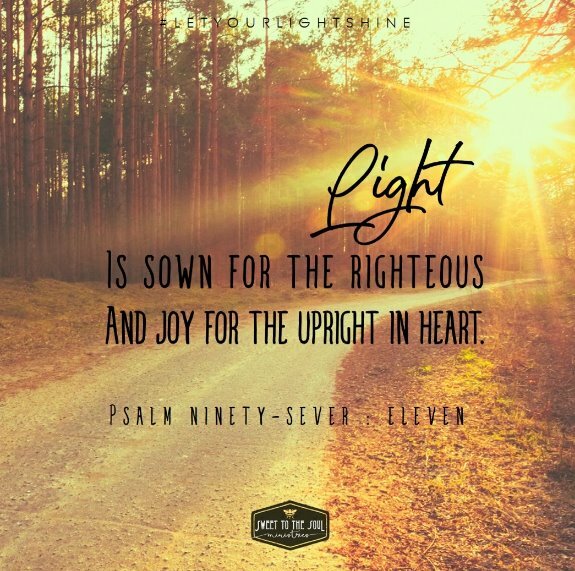 "Light is sown for the righteous and joy for the upright in heart." ​Walking into dark houses with no power can be frightening! But I’ve walked in them over and over. My family looks at houses for a living. Every day we walk up to houses that we know are empty and knock on doors. After no answer, we unlock the door, and poke our heads into the unfamiliar spaces and announce our presence just in case someone happens to be in the darkness. Admittedly, I do fine if light is streaming in the windows to showcase the cracks and crevices of the unfamiliar. But there are those houses with blinds or curtains over every glass pane that block the light. Those leave me frightened until my eyes adjust! Walking through life can be like walking into unknown, dark houses with curtains over the windows. Have you ever been there? Have you ever stood in unfamiliar places that bring on fear? Behind every door we walk up to there can be something good or bad. You may not be walking up to houses like my family. But there are other doors we each encounter and have the choice to open. The door of a new job. The door of a new school. The door of starting a new family. The door of moving to a new town. The door of ________________________ (insert what door you are approaching). ​I don’t know about you, but I like to be able to flip a light switch on when I enter the dark. Here is the good news. There is a light switch for every area of life we enter! It’s not found on the wall of a house, but it can be carried with us so that every time we walk forward we can know that light will be scattered into the unknown. This light comes from knowing Jesus. 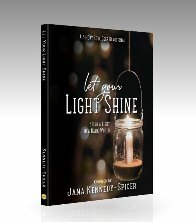 “light is planted all around those who know Jesus and joy is ready for them”. When we share a relationship with Jesus He is at work for us! Jesus becomes the planter of light in an otherwise dark world. Picture little candles being lit in a dark room; at first the small flames look dim compared to the darkness. Then, as your eyes adjust you can see even into the smallest cracks. The light scatters across the unknown spaces! After getting married my husband and I moved to a new city. It was large and unknown. The whole town looked unfamiliar and every door we opened was new. We needed a new home, we needed jobs, we needed friends, and we needed a place to worship. My husband had to leave our home for an extended time to train for his job. I was left to face every new door alone. I had the choice of living in fear or in trusting Jesus to light the way. I admit there were times I walked up to a door, knocked, and ran, forgetting that I was not alone. Have you ever needed a flashlight and couldn’t find one? Or you found it and the batteries were out? That was where I found myself. Things felt dark and I couldn’t find a flashlight that worked. Looking back I know that I was trying to turn on switches with no power. I wasn’t spending time in prayer or in my Bible. Those two things help us know Jesus better. 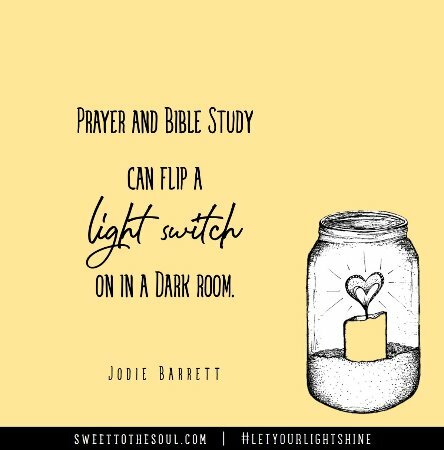 Prayer and Bible study can flip a light switch on in a dark room. Jesus is the light switch for those who believe! The next time you are entering a dark house, a new space in your life, remind yourself that you carry within you a light switch. To turn on the power, you simply believe and call His name, Jesus. Father, The world can look dark and frightening when we face the unknown. Help us to trust that you are the power that scatters light into every crack and crevice. Help us face new doors without fear. As we trust you and call your name, light the way! In Christ’s name, Amen.